Aquatic Physiotherapy (Hydrotherapy) refers to the practice of tailored exercises immersed in warm water to aid in therapy, rehabilitation and exercise. 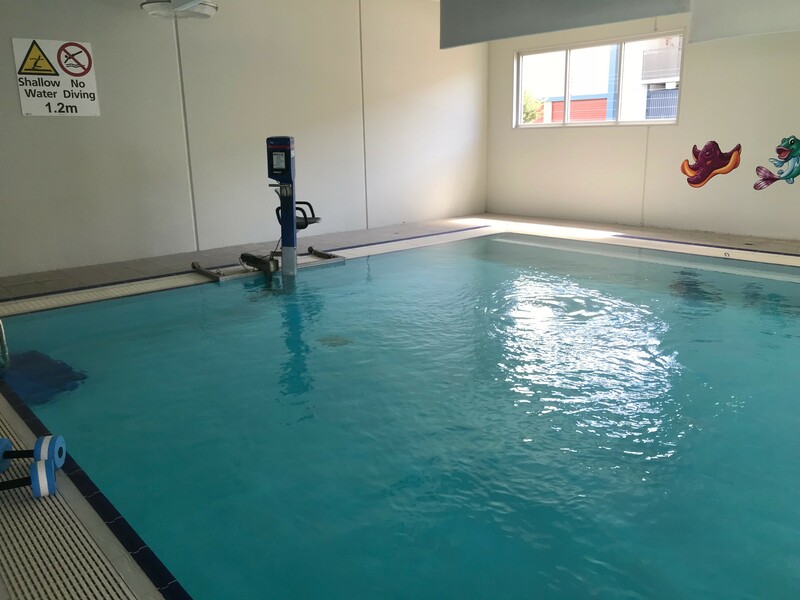 Coast Sport delivers Aquatic Physiotherapy Services at the YMCA Swim School located at the Mariners Centre of Excellence, Tuggerah. These services are available to private, workcover, third party and DVA clients. Clients must be referred into the Aquatic Physiotherapy Program by a Coast Sport Physiotherapist or their Doctor. New Clients must attend an Initial Physiotherapy Consultation at Coast Sport and also attain medical clearance from their GP, prior to participating in the Aquatic Physiotherapy program. Aquatic Physiotherapy Sessions must be booked and paid for at the Coast Sport reception desk, prior to the appointment time. Online bookings are not available for Aquatic Physiotherapy at this stage. Utilisation of a range of exercise equipment such as noodles, paddles and kickboards to assist in exercise progression.